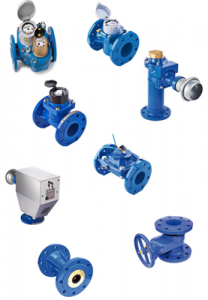 A wide range of mechanical flow meters for cold and hot water applications. Sizes ranging from 15mm to 500mm diameter pipe sizes. Single jet dry dial Super dry design).